The island of Brac is a popular destination with holidaymakers looking to enjoy an unforgettable Croatian experience. On the self-sustainable island there is an unlimited number of recreational, educational and simply interesting things to see and do. 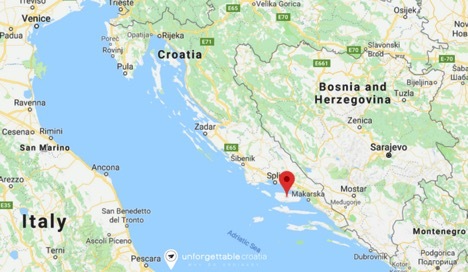 Although it is the largest island in Dalmatia, and the third largest island in the Adriatic Sea, Brac is small enough to be able to explore in its entirety in a day or two. 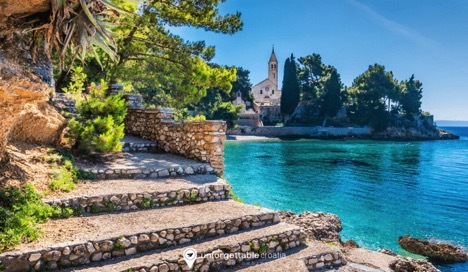 On a guided half-day island tour you can visit the popular main attractions of Pucisca, and the Stonemasonry School, the village of Skrip, and the Brac Native and Olive Oil museums. You’ll also have time for a photo opportunity on the 778 m high summit of Vidova Gora Mount. 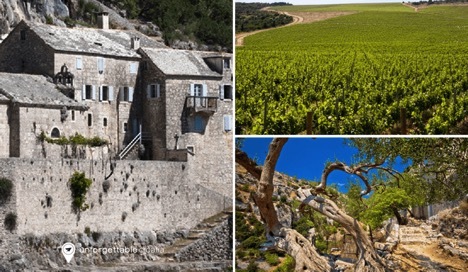 It’s easy to book and take a day trip to neighbouring Hvar Island. Visit by catamaran or book a boat tour. 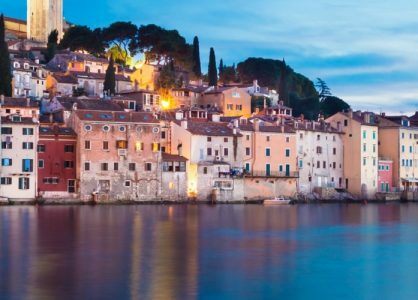 Live it up on the cosmopolitan jet set island of Hvar by exploring the historic sights, and dining in one of the many stylish restaurants. Call our luxury travel experts for the best suggestions of how to get around. Croatian cuisine is inspired by many different nations. When in Brac, sample the local delicacies and treat your taste buds. Brac is well known for lamb meat, sheep cheese, olive oil, and mandarins. The food on the island is flavoursome, tasty and varied. Dine at the Kopacina restaurant, in Donji Humac, to eat like a native. Baked lamb dishes, stews, seafood and risottos are a great example of the local grub. Unusual specialties that are hard to find anywhere else in Croatia are: vitalac, (lamb offal wrapped in lamb’s intestines and roasted on a spit) and dormice! The most common grape varieties grown on Brac are Posip (white wine), and Plavac Mali (red wine). 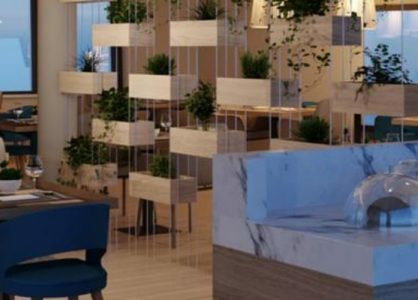 Join a wine-tasting tour of the Stina Winery and the state-of-art winery located on Bol’s quayside, to sip your way through a selection of fabulous local wines. Burn off those indulgent calories with some recreational activity. On Brac you can hit the hiking trails and enjoy majestic views along the way. The most popular hiking trails are from Bol to Vidova Gora summit, Murvica to Dragon’s Cave, Nerezisca to Blaca Hermitage, Farska to Blaca Hermitage, and Sumartin to Planik. Brac is the perfect destination for mountain biking. Many cycling routes head to Vidova Gora, the highest summit on the island. If you prefer something a little less challenging the easiest cycling route is a short 16 km from Sumartin through Selca and Novo Selo, back to Sumartin. Scuba diving, sea kayaking, kite-boarding and windsurfing give you an opportunity to plunge into the crystal clear waters of the Adriatic Sea. A fishing excursion is an alternative option. Mid and big game fishing tours depart from Bol ir Supetar for the islands of Hvar and Vis. It’s a full day excursion that includes trolling, a lunch break and drifting. Or, opt for beach hopping instead. The stunning shingle beaches on the island of Brac are major attractions and are great for sunbathing or swimming. 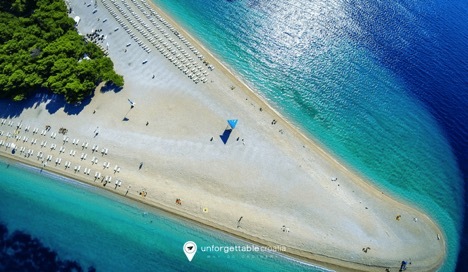 The most famous beach on the island is Zlatni Rat beach. Located on the west side of Bol, the golden sandy beach stretches for 1 km into the sea in the shape of a cone. 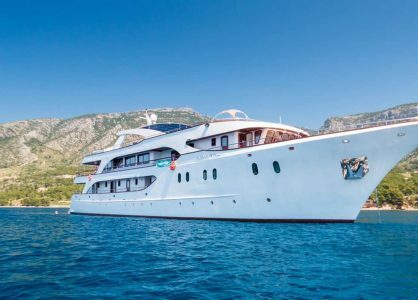 One of the best ways to explore Brac as well as more of the beautiful Dalmatian Coast is on one of our fantastic Croatia island cruises. Give our Croatia experts a call to find out more on 020 8004 2345.